Hello! Wow, it has been a long time since I’ve posted. I’m sorry that I’ve been absent for so long, unfortunately there was an unexpected death in my family a few months back. It hit me hard and I couldn’t seem to get my mojo back, but here I am! I’m ready to get back in the swing of things and I will be posting new content soon! Be on the lookout for new fashion adventures. I have done a lot of spring cleaning for my home lately , after throwing out old papers, making a give away pile, and organizing everything in my laundry room I finally decided to tackle my wonderful walk-in closet. Having moved from dorm rooms to several apartments I never really unpacked my closet, I still had my shoes stuffed in a bag. I know what your thinking, if I claim to be a shoe fanatic how could I just stuff them in a bag and leave them there? Well, my only excuse that I have is that I was busy to with college homework, but seeing as how I can’t use that excuse anymore that is why I have decided to give my shoes an upgrade in their living conditions. 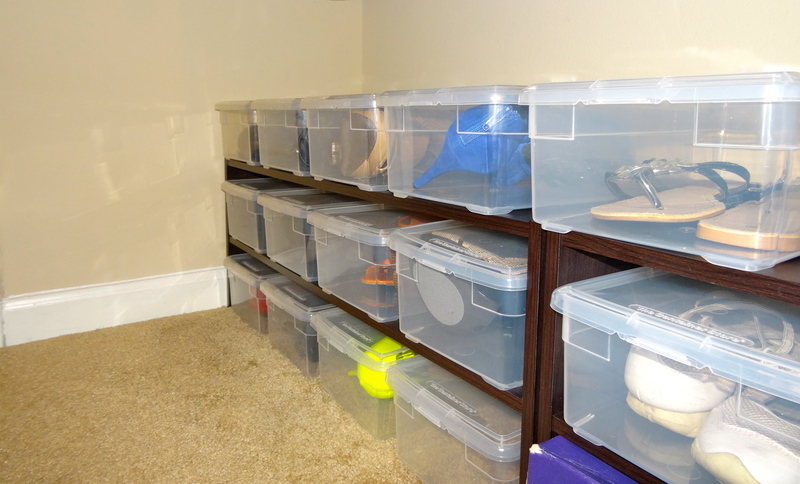 I’ve always wanted my shoes on display were I can see them without having to take them out their boxes, that is why I decided to buy my shoe boxes from The Container Store. I love their boxes because they are made out of durable crystal clear plastic and they can easily be stacked. If there is one thing you should know about me, it is I love saving money on things. I was able to get a 20 case of shoe boxes for $33.80 during The Container Store Spring Cleaning sale, if you are into saving money like I am then I suggest waiting until another sale happens. 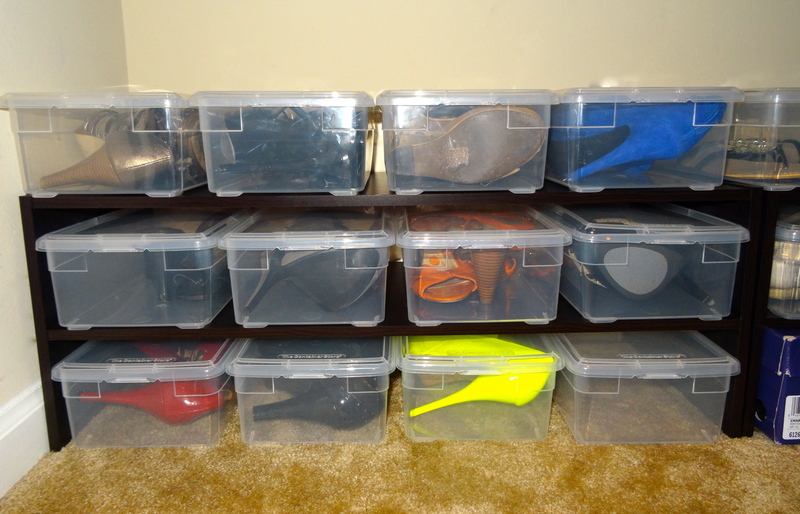 Sale or no sale their shoe boxes aren’t to expensive to break the bank. Now I don’t know about anybody else, but I’m not a fan of stacking shoe boxes on top of each other and then sticking them up on your closet shelf. That is just too much work for me, anytime I want a shoe I would have to grab my step stool and search for a shoe that looks good with my outfit. Instead of doing all that unnecessary work I wanted to get a low shelving system for the floor to go around the perimeter of my closet. With this set up I will be able to get to any of my shoes without the hassle of retrieving my step stool, this also assures that I won’t favor any of my shoes more than the others because I will be able to see them all. To find my shoe shelfs I looked in Bed Bath and Beyond, Wal-Mart, and Target again trying to save a buck without compromising on the look I was going for. In the end I decided to buy the shelfs from Target in a nice espresso color. The shelfs are normally $12.99 but instead of paying full price right then I wanted to waited it out. The thought process behind that decision was that Target always has a good sale or clearance and at some point the shelfs that I had my eye on would go on sale. I didn’t have to wait long, after two weeks of waiting they finally went on clearance for $9.08 each. Needless to say I jumped on them and I’m enjoying a beautifully put together shoe collection. 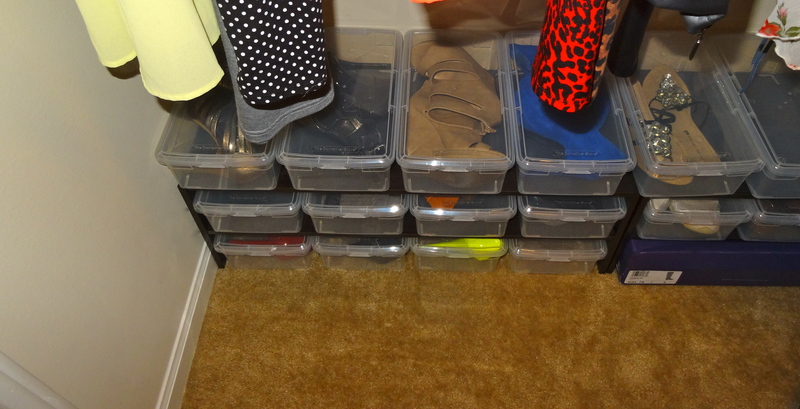 Now I need to organize my clothing, but that’s for next time. Hello everyone! 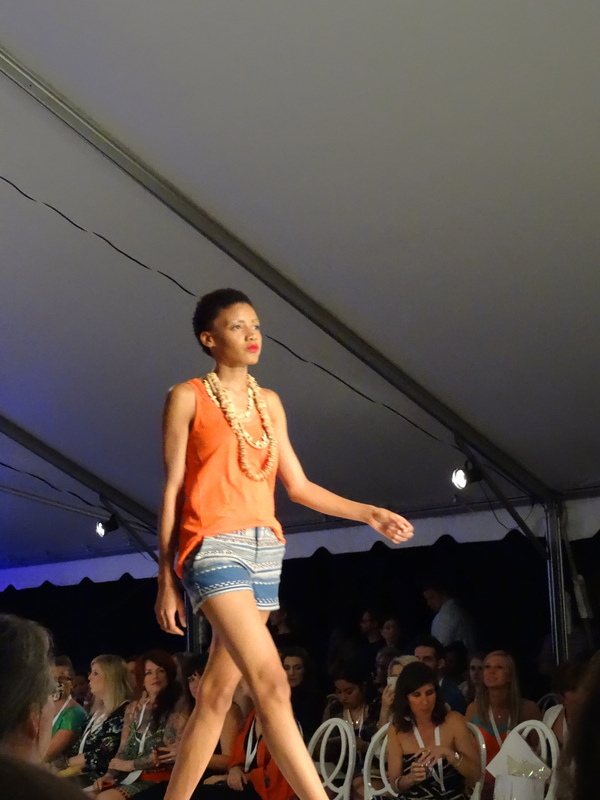 Since this is my first post on To The 9, I have thought long and hard about what my first post would talk about, that is when I fond out about Savannah Fashion Week 2014. 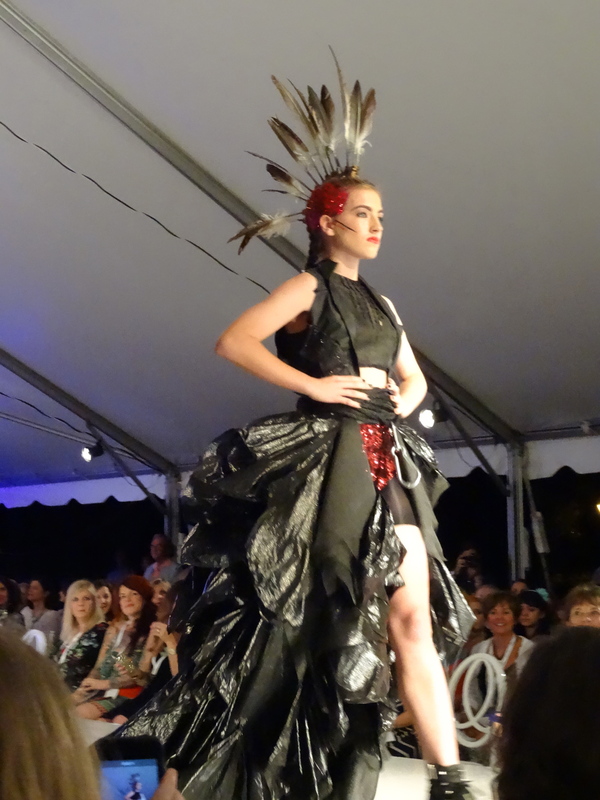 I have never been to a fashion show before, except for once when I modeled in a show when I was 8 years old, but let me say that I was blown away by the striking clothing. If anybody has ever been to Savannah, GA then you know that Savannah prides themselves in their downtown businesses that are locally owned, but it still surprised me to see so many Savannah designers that make their clothing by hand. Designers like April Johnston, Mamie Ruth, and Brooke Atwood to name a few. I also discovered unique boutiques that carries all the latest patterns, colors, accessories, and the beloved summer dresses. Boutiques favorites such as Zia, Trunk 13, and Red Clover makes it fun to hunt for your go to dress for those ultra warm evenings. Check out some of their designs below. 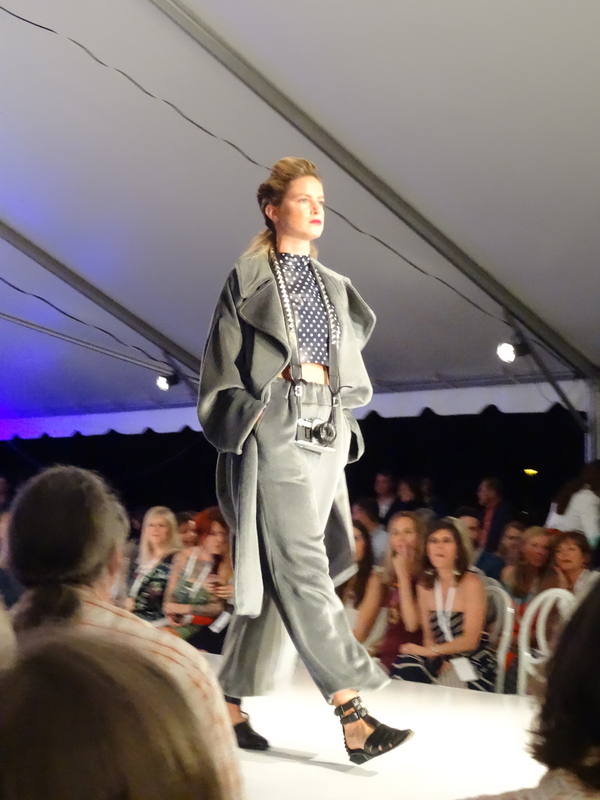 What made this years fashion show even more spectacular was that president Heather Burge decided to have the show in the historic Forsyth Park. 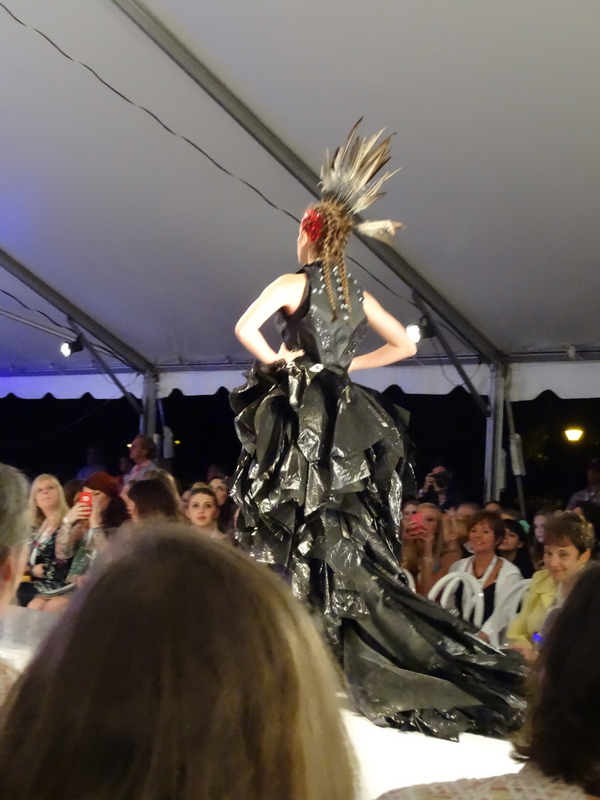 For the past five years the Savannah Fashion Show has been held in the Lucas Theater and even though I have never attended the past fashion shows there was definitely something whimsical about sitting in Forsyth Park surrounded by Majestic Live Oak Trees dripping with Spanish moss. 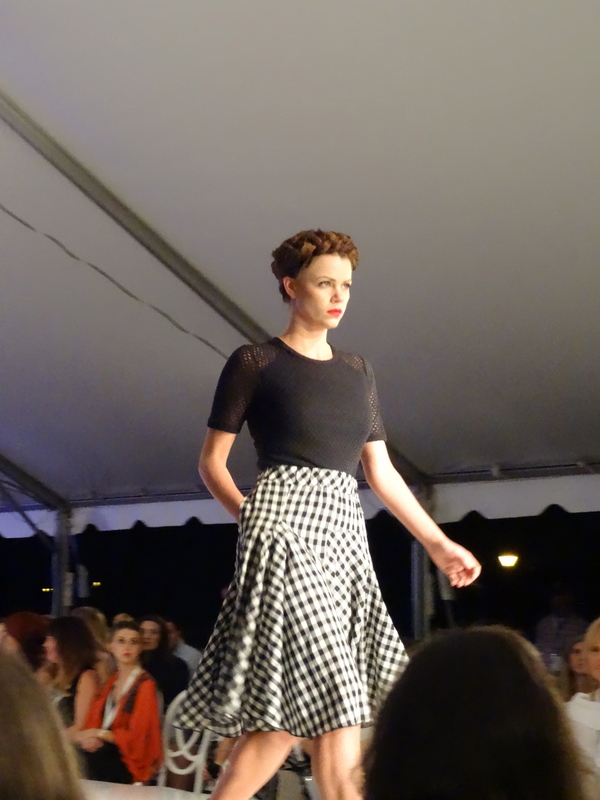 For this being my first fashion week I’ve ever gone to, I absolutely fell in love with the designs and I loved seeing the talented Savannah residents. My only wished is that I had found out about fashion week a couple of years ago. © To The 9, 2014-2015. Unauthorized use and/or duplication of this material without express and written permission from this blog’s author and/or owner is strictly prohibited. Excerpts and links may be used, provided that full and clear credit is given to To The 9 with appropriate and specific direction to the original content.